This month we are adding some hotly requested features to our product. Tooltips have become an essential component in elegantly providing more context and detail to the end user. 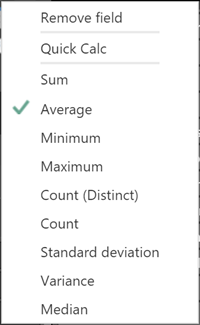 By default, a tooltip displays only the value and the category of the data point. Often times, this is not enough and customers would need to have additional context that is found in another measure. With this update, users are able to customize the fields that are shown in the tooltip of all visual controls. Simply drag any data measure into the Tooltip bucket in order for that field to be shown in the tooltip. 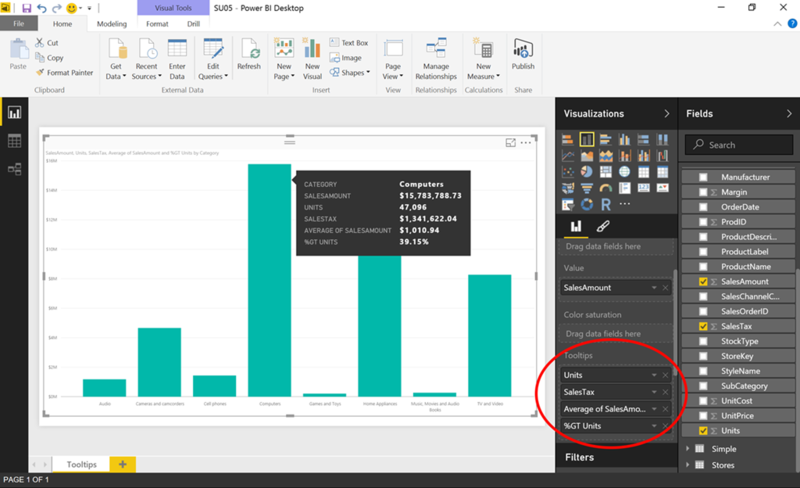 A much requested feature, it allows users to color cell backgrounds based on the value of the data in the cell. The coloring follows a gradient based on the data value. Then you can configure the color and the min/max values associated. The result is a formatted table that overrides any custom table styles for the conditionally formatted cells. 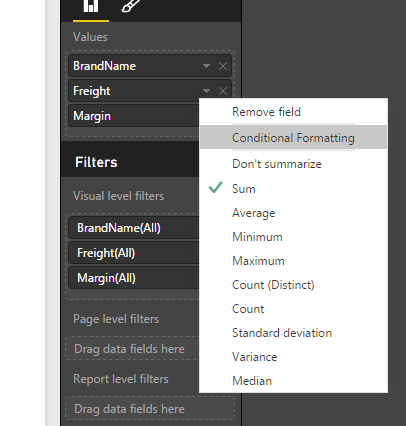 Connect Power BI Desktop content to and from other sources and apply common filters and interactions (e.g. dimensional slicers). 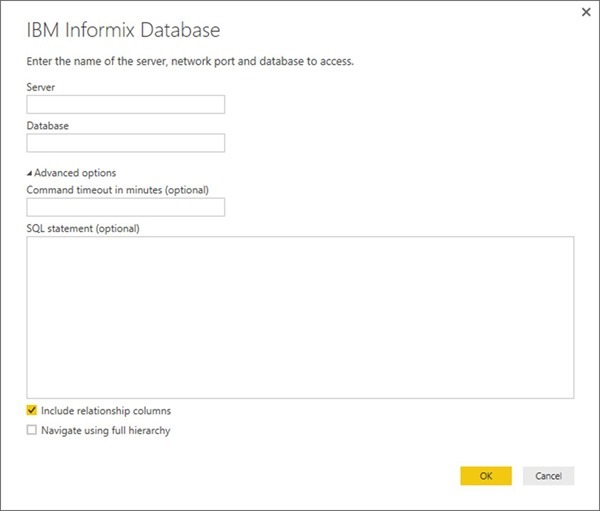 Secure content using BI Office’s security model for users and groups. Blend everything into a single dashboard that can be shared with a large number of users and consumers. 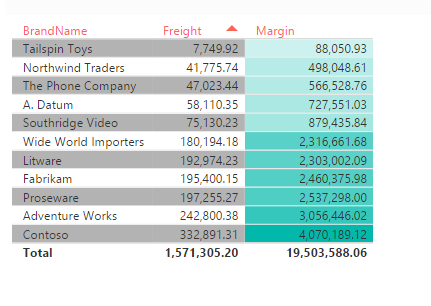 Cartesian charts (line, bar, column, area) can now load data dynamically when it is needed by the end user. If there are more data points than we can fit nicely in the chart, simply move the scroll-bar all the way to the right and if more data is available it will automatically be loaded and the chart updated. 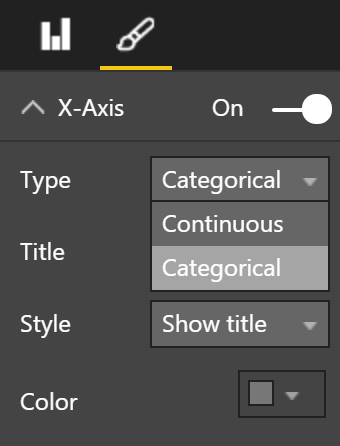 Note that you must have your axis set to Categorical in order for the data not to be summarized, but loaded in increments when you scroll to the end. 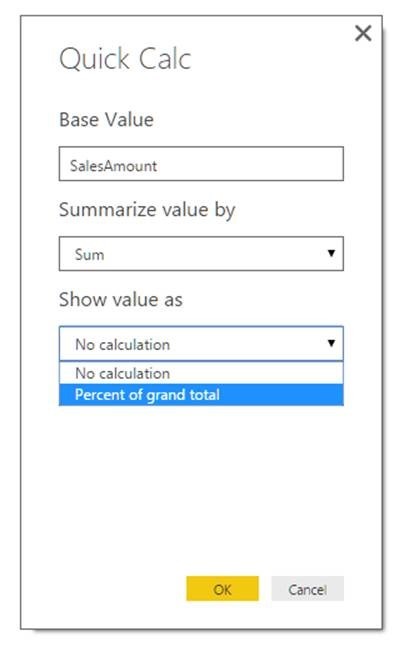 A new Quick Calc has been added that calculates the percent of the grand total for each data value. To access it, right click on the field in the field well. 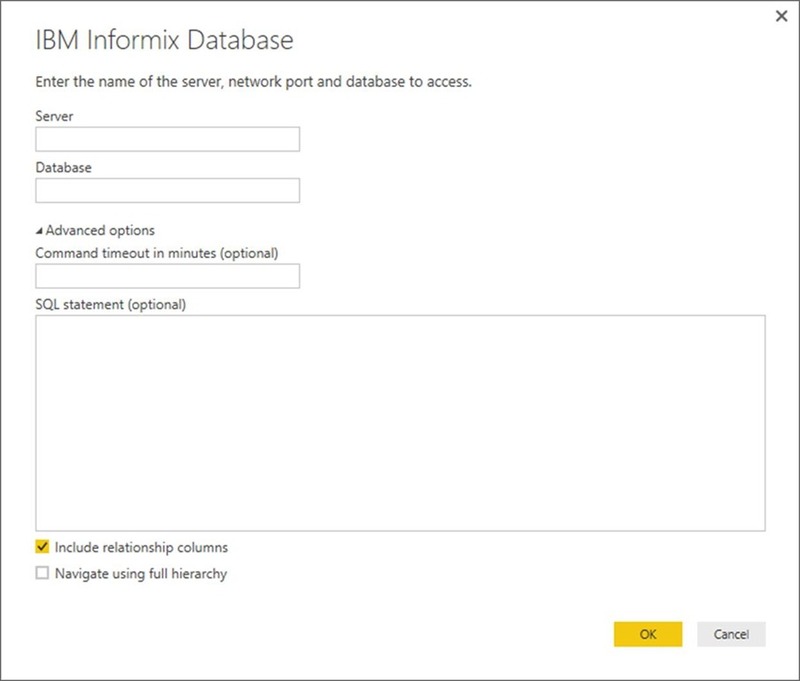 Informix: Available via the “Databases” category in the Get Data dialog. comScore Digital Analytix: Available via “Online Sources” category. Troux: Available via “Online Sources” category. Planview Enterprise: Available via “Online Sources” category. 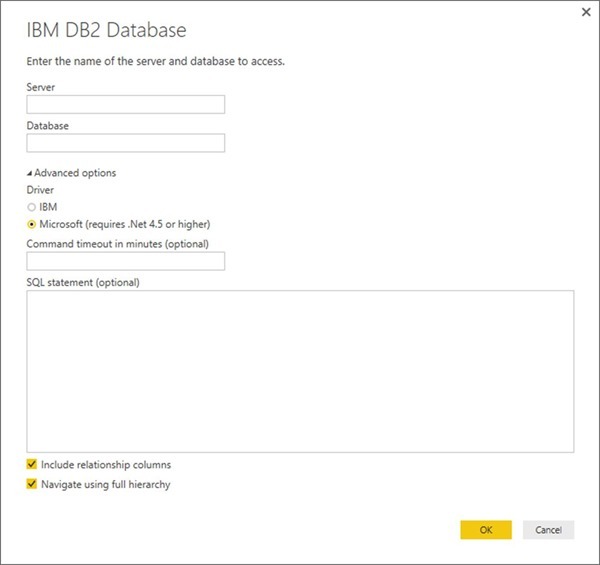 We have improved the IBM DB2 connector in this release to provide the choice for users to leverage the Microsoft driver for IBM DB2, which is also automatically included in the Power BI Desktop installation. Within the IBM DB2 connector dialog, users can select which driver to use as an Advanced Option. Data Type Detection strategy: Based on top 200 rows, based on entire dataset, or no data type detection. Based on user choices, the preview in this dialog will automatically update. Users can then decide whether to directly load the data or edit first to apply additional data transformations as needed. 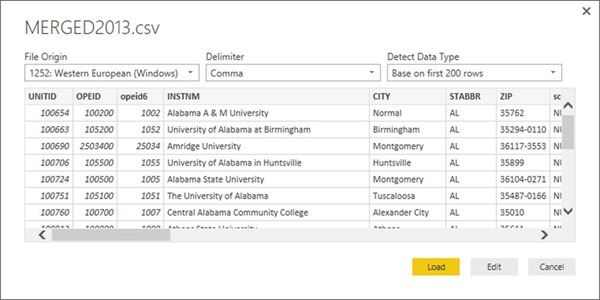 Users can now easily update the “location” of a data source for all queries connecting to that data source within a single Power BI Desktop report. Before this update, users had to update the data source location for each of the queries connecting to the source. The new solution allows users to do this in a single step. 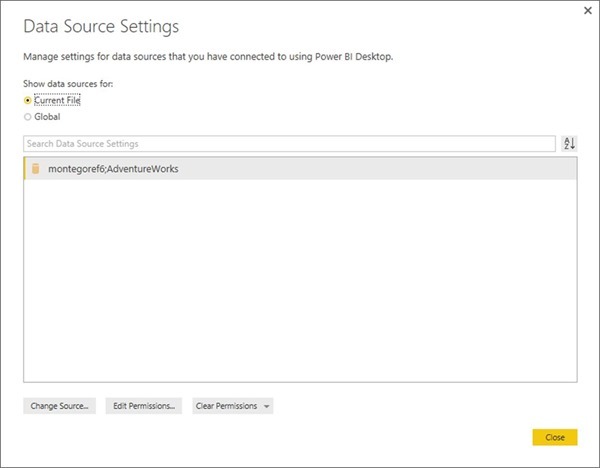 Within the “Data Source Settings” dialog (File -> Options and Settings -> Data Source Settings), there is a new “Current File” scope, which allows users to limit the list of data sources displayed to only the data sources used in the current file. From this view, they can modify credentials, privacy levels and other settings for that data source, or use the “Change Path” option to modify the path to that data source. 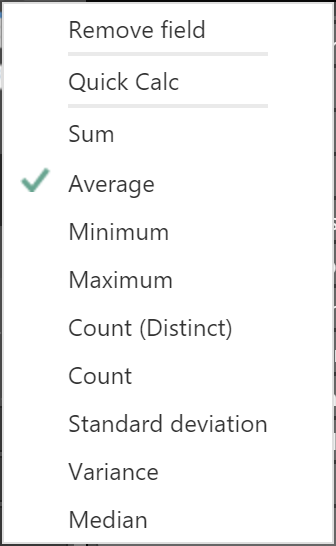 We’re introducing a new mode within the “Filter Rows” dialog. 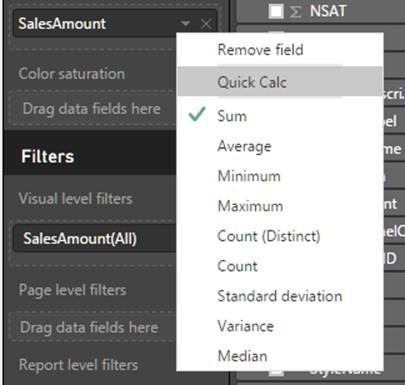 This new mode allows users to add multiple filter clauses within a single Filter Rows step (previously only 1-2 clauses were allowed) and also combine filter clauses based on multiple columns (before, all clauses were applied to a single column). We have improved the inline preview for functions within the Query Editor dialog. It now allows input values for function invocation. This new “Enter Parameters” section in the inline function preview is available for both “out of the box” functions (M Engine functions) as well as user-defined functions. 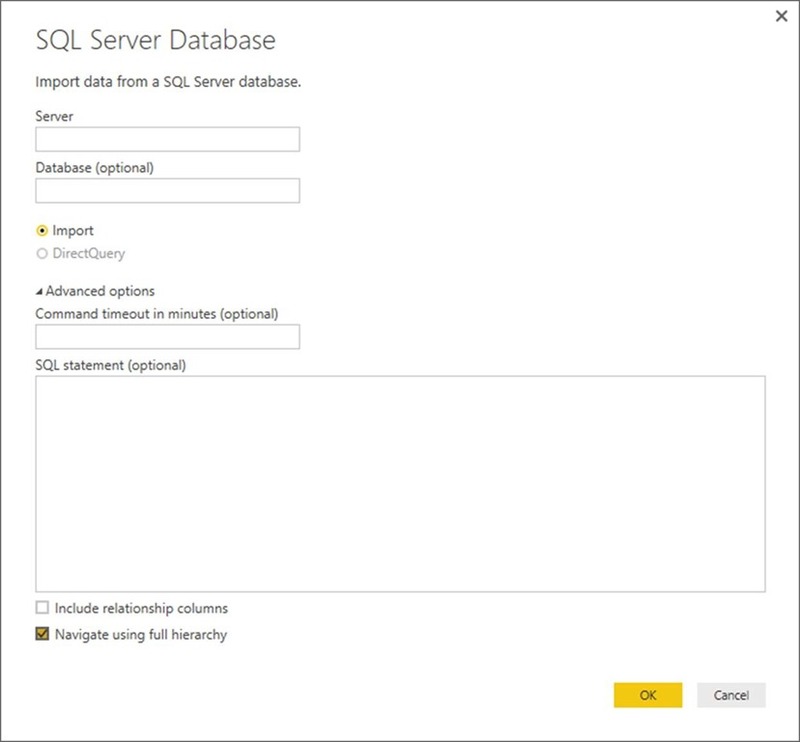 Ability to convert queries to parameters (and vice versa) – Users can now easily convert an existing query to a parameter, or convert a parameter into a regular query. These two options are available within the Queries pane in the Query Editor, as context menu options for queries within this pane. Support for URL parameterization and multi-part URLs in Web connector – A common scenario for parameterization is a data source path. Particularly, web URLs are commonly parameterized based on user-specific values (such as domain name, etc.). 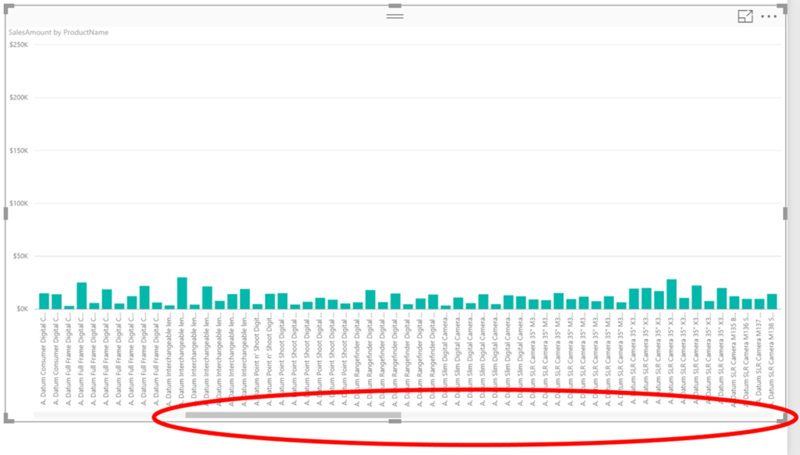 With last month’s update, users were able to parameterize an entire URL, but in many cases it is only a “part” of that URL that actually changes based on the user-specific parameter, rather than the entire URL. 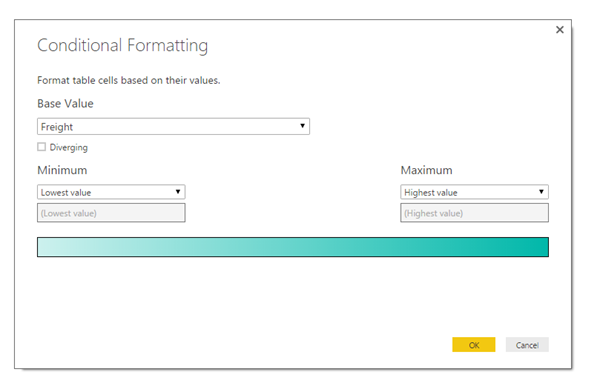 With this month’s Power BI Desktop update, we’re introducing an “Advanced” Web connector mode to allow users to specify multiple parts to construct the Web URL to use. Each part can either be a static text fragment or a reference to a parameter. 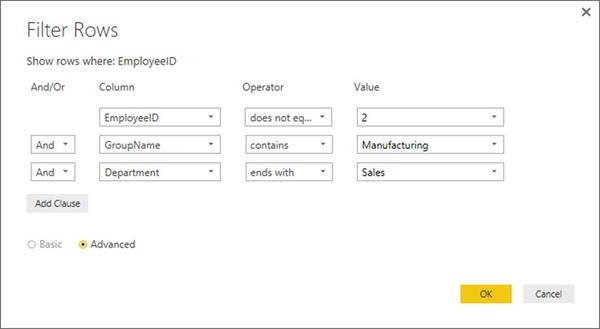 Support for parameterization in Conditional Columns dialog – Within the Conditional Column dialog, users can now specify a “static” value, a reference to another column or to a parameter as the Condition Value or the Output value for each conditional rule. Users can now save as a Power BI template file from within the “File -> Save As” dialog. 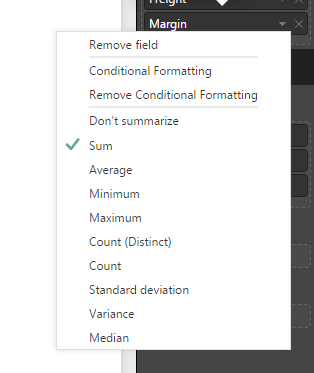 This will create a “.pbit” file that contains the definition of the report (including queries, model and report) as well as the data in the data model and the current parameter values. Opening a “.pbit” file will allow users to continue working on the report contents, but it will force them to save as a different file when trying to save the file. 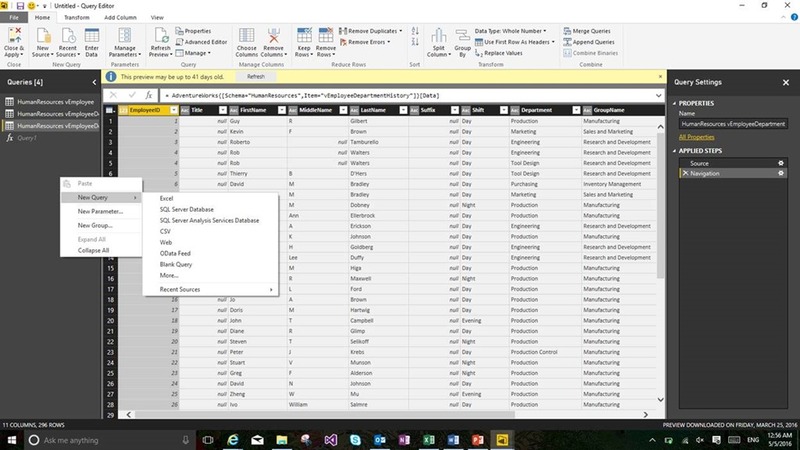 In this release, we’re enabling drag & drop gesture for reordering steps within a query. This can be done via the Applied Steps section in the Query Editor, for each query. Users can now leverage a Date picker control to provide input Date values in the Filter Rows and Conditional Columns dialogs. 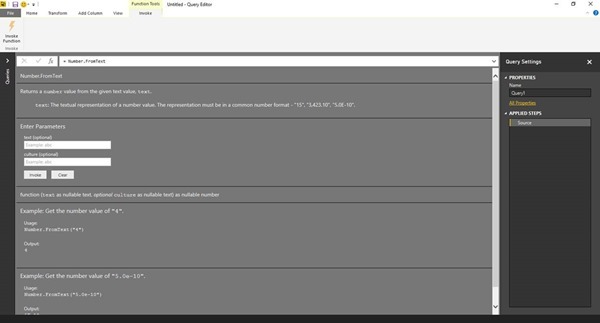 In this update, we’re adding a new context menu entry on the Queries pane, when right-clicking on the background of the pane or in a query group node, to add a new query. This allows a more intuitive experience for adding new queries when working within the Queries pane. Also, in the case of right-clicking on a query group, the new query will be added to the group in question.